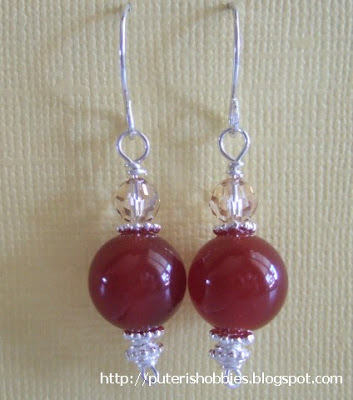 Agate ear-rings with sterling silver spacers and golden shadow swarovski crystals. 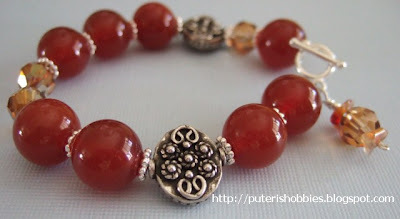 Agate beads, copper swarovski crystals, sterling silver spacers, hill tribe silver beads and sterling silver toggle clasps. 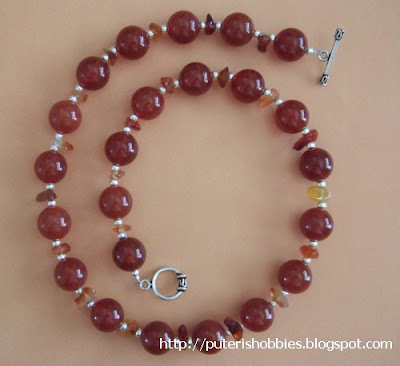 Agate beads with carnelian chips, sterling silver beads and clasps.